We install Duradek Vinyl Membranes! 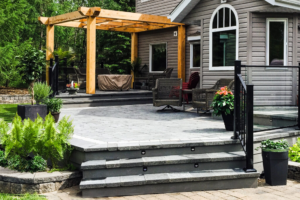 We install Custom Waterproof Stone Decks! We install railings fully welded customized railings! 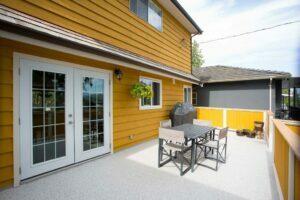 Looking for a custom deck? We can help! Proudly servicing Calgarians for over 44 years! Welcome to Caldek Sundeck Systems! 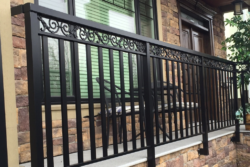 Calgary’s exclusive franchise dealer for Duradek and Railcraft Aluminum Railings. Multi-Year winner of the prestigious Gold Consumers Choice Award for Business Excellence. 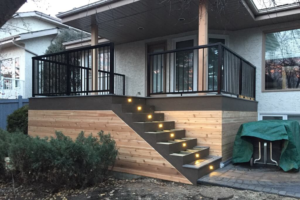 Thank you Calgary for voting us your number one decking and railing company. We work hard to earn your respect by providing you the finest in product and workmanship. Please take your time and look around our website which was designed exactly for you to educate yourself on our products and services!